old stove and appliance interests. The Old Appliance Club Membership w FREE Benefits! Best money ever spent on her Chambers "C" Gas Range! The best money that I have ever spent so far on my Chambers model C gas range has been the membership to The Old Appliance Club! You have always provided unbelievable service and courtesy, especially in this day and age. Thank you a thousand times for all of your help and patience with me as I am getting my Chambers up and running! When I saw a picture of an old Philco refrigerator just like my grandparents had and a picture of a stove with a Deep Well like they had...you brought back a lot of wonderful memories. Thank you. 'SPEEDY' Delivered ... Right to Your Door! A true eye-opener...Dont miss it! ... FREE Stove ESTIMATE of VALUE ! The Old Road Home ! EXPERT Resources and Referrals ! Five emails of FREE consultation help. Plus...A full half hour of Free phone appointment consultation help for your stove. Our experts will be glad to help you get your stove up and running as fast as possible. Whether you wish a second opinion, or help with an old appliance problem there is no charge for this service anytime during the entire membership year. Extended consultation is also available. Private party members may also place a Free Web Ad to buy, sell, or locate a vintage appliance on our web site. Ads are good for 90 days and obtain the largest exposure on the web exclusive to old appliance interest. As mentioned above, free sources and free referrals are available to all members . Just let us know which issues on the comments liine of the order you wish when you place your order. The Old Road Home is a treasure chest of old appliance knowledge and fun! Once you've seen TORH you will want to order more and more. TORH is the only quarterly of its kind in the world. Its aimed dead-center at the dyed-in-the-wool antique appliance lover. Each issue is filled to the brim with fascinating information on all kinds of early to mid-century classic American appliances covering years 1900s thru 1960s. See historical feature articles on companies such as Magic Chef, OKeefe & Merritt, Frigidaire, General Electric, Maytag, Sunbeam, Chambers, and many more. Vintage appliance dealers and restoration services of TOAC are located in our magazine. If you need help, contact these knowledgeable experts for finding, servicing or refurbishing old appliances. 'Still Alive and Well', a very special section of our magazine, is where every kind of member-owned vintage appliance has been showcased. You will see appliances you may never have known existed in 'The Old, Odd and Unusual', another feature in TORH. The hilarious 'Duck Brothers Fix-It Corner', classified and display ads, recipes from old appliance cookbooks, It Came From The Mailbag, News From the Trenches' and When Fun Was Free - everyone's favorite rib tickler. The Old Appliance Club has been featured on radio and in hundreds of newspapers and magazine articles and The Old Road Home is part of the permanent file at The Smithsonian in Washington, DC. save old appliances clogging landfills and giving them a new life through second-use. keep classic appliance preservation alive. Your efforts to promote recycling old appliances by actually using them deserves a Nobel Prize!" Old appliance fans, here is the final blue plate special of The Old Road Home vintage appliance magazine Hot Cha Series. all old appliance lovers everywhere. When The Old Road Home publication emerged some 12 years ago it started as a half page Xeroxed newsletter. This last edition with 4 additional pages is a whopping 44 pages jam-packed with all the old time home appliance goodies. MAGIC CHEF FANS  See a brace of the over-sized 1930s six burner, double oven with C-curve warming closets. The MAGIC CHEF 6300. This Grand Jewel of the old stove world came in either 6 or 8 burner models. This six burner 6300 is all white with chrome trim and black ribbon edging. It has been perfectly restored and will be utilized again in a custom built home in Texas. In the meantime it is patiently waiting in an old Banana Vault. There is a great mini-story enclosed which charts out the details including the talented restoration specialist that took charge of the complete refurbishing. Everything on this Magic Chef 6300 works like brandee-new and will for decades more of Happy Cooking! The MAGIC CHEF 1000 is the next old stove beauty. THIS IS THE VERY LAST MAGIC CHEF 1000 EVER PRODUCED! We were stymied to receive a personal letter from the grandson of George Clark who was the founder of the incredible Clark Jewell Stove Company. When George Clark retired, he was presented with the final 1000 series Magic Chef stove ever to leave the factory production line. FEATURE  The Victrola by Mike Arnold  Mike Monitor top Arnold stops by to tell us about Model VV  11 Victrola. Recordings made almost 100 years ago still sound crystal clear on this tall, dark mahogany beauty. All old audio fans will adore reading and seeing this fabulous machine that looks like it was just unpacked from a shipping crate ready to spin its first record. STILL ALIVE AND WELL  Check out this banquet of fabulous antique appliances that surely will make your eyes pop out. First displayed is a rare marbleized porcelain 1935 Deco Style Norge refrigerator. What a finish! Then, not to be outdone there is a 1933 Detroit Gas range with an incredible mother of pearl relief in the raised enamel doors. Nothing like this will ever be produced again. Few of these around and in such superb condition. DOUBLING VISION - HOT POINT 1920s ELECTRIC RANGES - From West Virginia you will view two 1920s  left and right handed Hotpoint electric ranges tied together for a whopping combination of double ovens, double roll top warmers, a deepwell cooker and 7 burners. Its an awesome sight to see such a classic design with so much cooking power all in one kitchen. THE RONSON FOODMATIC  You may have never heard of it before. Well, neither have we until Jean Barrett sent us a picture of her Foodmatic. This oldie but goodie even sports a cabinet with all the attachments beneath it. The main mount for everything is recessed on top. Small appliances like this rarely surface in such complete shape so make a point of studying it, just in case you ever run into one and have a chance to buy it. It really did exist and it sure is slick. FEATURE  MOTHERLODE Finds a New Home  Yes! Chip Ruhl is back. Remember he rescued several tons of stoves from the scrap heap last year? Well, Chip has pictures and more news about his personal stove and refrigerator adoption effort that you might find quite startling. There is even a picture of a fat Raccoon peering from the rafters of the barn over this gigantic arrangement of antique stoves and refrigerators. Need some old stoves? Get them from the Chipper! Also in a separate feature is Chips cousin Mel Goldys 193 Ivanhoe 3 burner Kerosene stove. It works and is in super shape. SERELCO Super-Chief Reflected Heat Stove  WEIRD but wonderful is the only way to describe this late 20s apartment table top stove. One burner with electric oven featuring speed, economy and safety was the way it was advertised. This survivor is in wonderful condition for its age too. FEATURE  The Apthrope Files  Antique Appliance detective James Apthorpe has discovered the Foreman pre-collectibles of the future! Read all about it and get in on the game while the getting is still good. Jim also sent in pictures of the famous G.E. Toaster with oven warmer beneath it from the early 60s and a Dominion Waffle Make Circa 1928 with crusted chrome body and porcelain top insert w/floral design and thermometer. He unearths such fascinating old appliances, typewriters, radios, fans, etc. etc. Join Jim on this old appliance safari through Florida. KELVINATOR 4 IN 1 Refrigerator Ad from June 1934  Happy Days! This is a terrific ad that you are sure to enjoy from so long ago. Many of these old Kelvinators are still running like a clock too. If you were around when these were being produced, you will recognize it just as soon as you see it. WHATS FOR SALE? This time around we have pull-enty of goodies! Antique stoves both large and small - Chambers, Kelvinators, ANTIQUE bathtubs, vacuums, washers, a Chambers Imperial (totally restored), Estate ranges, Electrochef, Frigidaire, G.E. fridges, Nutone range and so very much more. If you want the perfect item, that few people own, this is the marketplace to track it down. SOURCES - If you need parts, service or information you will discover the help you need as always in The Old Road Home. New parts like the spring for the Chambers B folding top, open manifold range valves, china OKM salt and pepper shakers, special safety valves and lots of other goodies are all listed in this issue. Again, if you cannot find what you need, all you have to do is e-mail us at toac@sbcglobal.net and we will see if we can track it down for you. Thank you Peter Mintun for this rare picture! THE OLD THE ODD AND THE UNUSUAL  Read all about the RCA Globe-Trotter portable radio and the Knapp-Monarch round, flat work ironer!!! This is the first time in ten years that we have ever published as odd of an appliance as the round ironer. Who won the Pimple Prize Contest? from the last issue and the surprise behind-the-scenes pimple information. LAST BUT NOT LEAST  A Tribute to Cadillac Jack. Mona is ready to serve you Hot-Cha #4. Hot-Cha series  FREE just by joining TOAC below. ... See details below ! Special thanks to TOAC model Miss Mona. Want to see her in more TOAC presentations? Just let us know by writing to us at toac@sbcglobal.net. SEE THIS ISSUE FOR New top pilot replacements for vintage Magic Chef stoves, new Safety System Units, original thermostat and safety valve rebuilding services, Full Restoration services like premium plating, new Porcelain enamel and Chrome processing, How To do-it-yourself antique stove manuals, custom burner head gaskets, plus new restoration and rebuilding companies that have just come on-line with TOAC! OLD APPLIANCE SERVICE AND PARTS PROVIDERS  The best of the best classic appliance sales, service and parts suppliers appear in each issue of The Old Road Home. Need a thermostat rebuilt, dials made, porcelain services, refrigerator parts, even old t.v., radio and phonograph help? Just ask. All members of TOAC have free consultation, search and referral help available for a full year. WHATS WANTED? Did you know that an old appliance or part that you have sitting in your garage, house or shed could not only save someone elses unit but bring you money as well? To restore old appliances, parts or sometime entire units are desperately needed. Quite a few people pour over the classifieds in TORH for goods that are needed by others. If you are seeking to reduce the tonnage on your plot, check out the wanted column. Everything and anything is needed and hopefully you can supply it, make a few bucks and maybe even make a new friend! If you love old appliances you are certain to enjoy this issue. 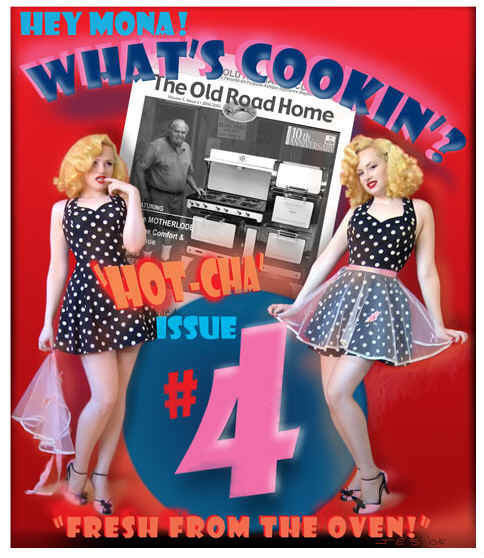 If you are not yet receiving The Old Road Home, did you know you can receive 4 quarterly back issues, which comprise our yearbook, FREE just by becoming a member at this link http://www.antiquestoves.com/toac/about.htm? And thats not all. There are more benefits like free consultation, free private party ads, free sources and free referrals. Become part of the largest and oldest group of old appliance owners, users and restoration experts in the world and see how it can help your old appliance needs. As we always say mates, Its not what one knows but what we all know that makes owning and using classic equipment fun to use, easy to understand and safe for years of use. So, come on along and join the tribe! We always have a cuppa on the stove and we are happy to hear from ya! just see below - order now and get rapid service. FOUR sizzling back ISSUES of The Old Road Home. Have a Ton of Fun, learn a bunch about vintage American appliances and be part of it all! Hoping well see you all down on The Old Road Home real soon! Enjoy life to the fullest with Americas Favorite All-Purpose Vintage Appliance publication; The Old Road Home's not-to-be-missed pages of fun and old appliance edutainment. Click to Order Your Membership(s) for Full Benefits. Debit cards, checks, PayPal or Money orders. USA or International (with USA ship address). We accept Visa, MasterCard, American Express, Discover or Debit cards and PayPal. I want to be a Current TOAC Member and Get the Most Recent 5 Back Issues! 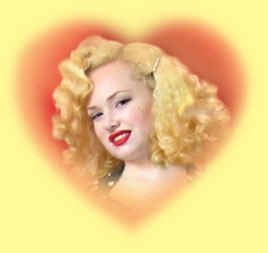 For GIFTS, type in the 'checkout comments' if a Gift Postcard be mailed and address. 1. Vol X, Issue 4 ... The Motherlode! 121 Stoves Refrigs Saved!, Home Comfort & Ivanhoe, Serelco table-top Super-Chef. 2. Vol X, Issue 3 ... COCA-COLA Refrigerators Double Feature - Works Great! and Uncovering a New Species! 4. Vol X, Issue 1 ... SUNBEAM Gas/Electric Retrofit and THE MOTHERLODE of Stoves and Refrigerators. 5. Fall 2003 ... "Fascinating 1948 Roper" - models, features, dimensions, history, the factory! The Great Majestic refrigerator by Jim Apthorpe. Wedgewood article by Reatha Thran ..."People ask us, Why in the world would you want old stoves? If they only knew the comfort we get seeing it in our kitchen." with either 4 or 5 or 8 back issues. During checkout in 'Comments' type the issues you want! To go back to this page, press the 'back' arrow at top left of your screen. The Old Road Home vintage appliance magazine! Type in 'Checkout Comments' the 4 Back Issues you would like or,what type of stove you have or, if a TOAC Gift Postcard be mailed either to you or your friend and their address. Give a GIFT and Save $5.00. Of course, both of you will get all your TOAC benefits. Pick the 4 back issues for them. Save $5 on each gift. Pick and choose your EIGHT Favorite Back Issues. Then, click 'back' to this page and Order your COMBO PACK. Remember to let us know which eight back issues you want in the 'checkout comments'. USA or All other Countries (must have USA Address) - Save $5 !, $65, 8 Issues each Membership.